Import/Export wishlist products with all related data. 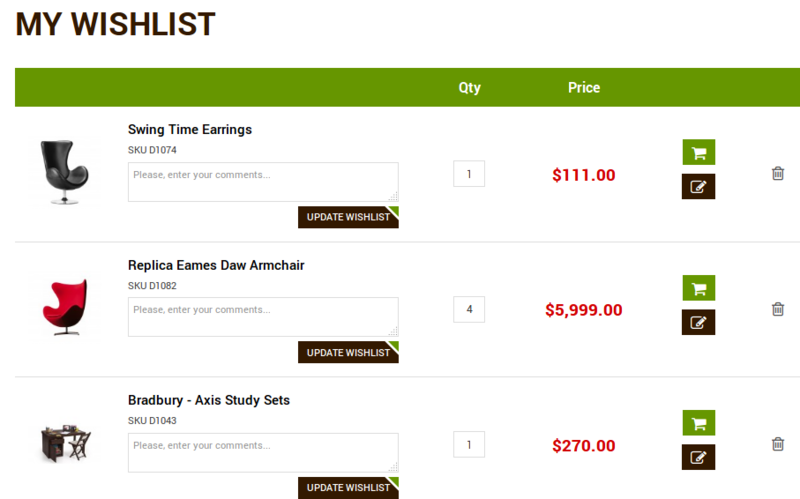 Easy to update and add wishlist products into the Magento store using CSV file. Import/Export store view wise wishlist products. Supported all type of wishlist products. This module allows you to import and export your store wishlist products such as store, product options, customer email, etc in bulk via csv format. This extension allows you to import export all the Magento's wishlist products data from one store to another store. You can export store view wise wishlist products data. Steps For Import Wishlist Products. 2) Go to Your Site Backend -> MAGEBEES -> Import Export Wishlist Products -> Import Wishlist Products. 3) Please upload your created csv file and click on “Import Wishlist Products” button. 4) Now successfully import wishlist products. Steps For Export Wishlist Products. 1) Go to Your Site Backend -> MAGEBEES -> Import Export Wishlist Products -> Export Wishlist Products. 2) Please click on “Export Wishlist Products” Button. Magento import export wishlist products extension is the best. The developers have taken time to create simple yet highly functional extension. Well 5 stars for that! Also, the price is simply great. Why spend time in writing a code when MageBees offers the extension at such affordable cost. And, if you need any customization, they are ready to help you out. Great support, perfect extension. The Magento import export wishlist product extension makes your job easy. I installed it for importing wishlist data from the old site. Very useful extension. You can import several wishlist products in the blink of an eye. This extension is useful for importing wishlist products from one store to another. You do not have to import and export the product manually. It saves time. It is worth the price. I was searching for a quality extension that helped with import of wishlist products. Stumbled upon a blog and found my way to MageBees. Amazing module these guys have built! It makes updating and adding wishlist products to the store so easy. A simple CSV file is needed, that's it. I would recommended MageBees to everyone around me. Works like a charm and is easy to use! Extension working nice as per described. Excellent Document Explained and Sample Data CSV.